I have always had a connection to art. When I was a kid most of my free time was spent doing arts and crafts of some kind, and avoiding anything that involved hand eye coordination. In high school I was short an elective and reluctantly ended up in yearbook where I was handed my first DSLR. I was instantly hooked and found myself volunteering to cover various school events. I graduated university in 2015 with a Bachelor's degree and the sense I had wasted a great deal of time and energy over the course of 5 years. I studied Sociology and Gender Studies in the hopes of finding a way to create meaningful change in the lives of those around me and society at large, but ultimately left school with many more questions then answers. Don't get me wrong, I enjoyed my time at Carleton University and value the education I have, but I was left feeling unsatisfied with where I was going in my professional life. I took a few years off, worked in a cafe and saved some money. Working in an environment with actors, artists and performers relit the artistic fire in me and I applied to photography school on a whim. 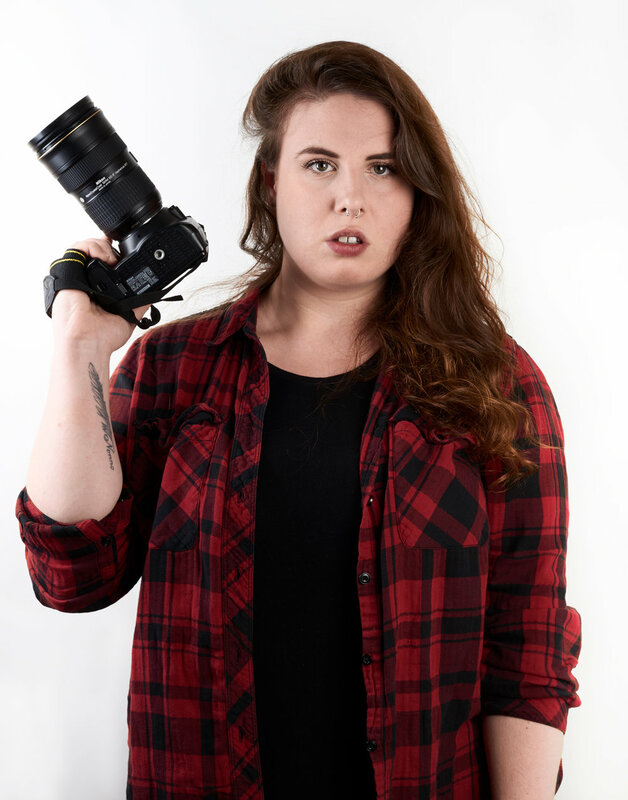 After I was accepted to the Algonquin College Photography Program, I decided to find a way to fuse my interest of social issues and art together to find my niche in the industry and hopefully create a positive impact on my community. Lately I have been particularly interested in documenting groups of people with a single commonality. For my final portfolio, I have decided to document Millennials (generation y) our culture. I am proud of how far I have come in pursuing my passions and can't wait to see how my style will evolve and grow. I would love to connect to like-minded people in the Ottawa area and see how we can develop our interests together. Reach out to me at kayleighfisherdigital@gmail.com or via my connect page if you would like to contact me!